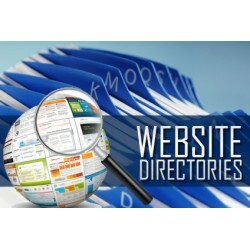 PR4+ guaranteed web directory listings (from 0.7$/listing), all different high quality directories. Initial on-page and off-page SEO Analysis. Different directory owners, different registrars, no directory networks are used. Free replacement of lost listings. 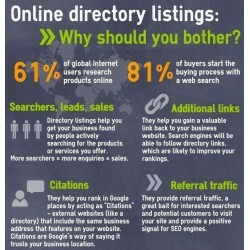 It's very rare that quality websites die but if that happen we will replace any lost approved listings. Customer Input Website URL; Optional titles for anchor texts, descriptions. Tier 2 Backlinks 50 per Listing; Optional; Free. 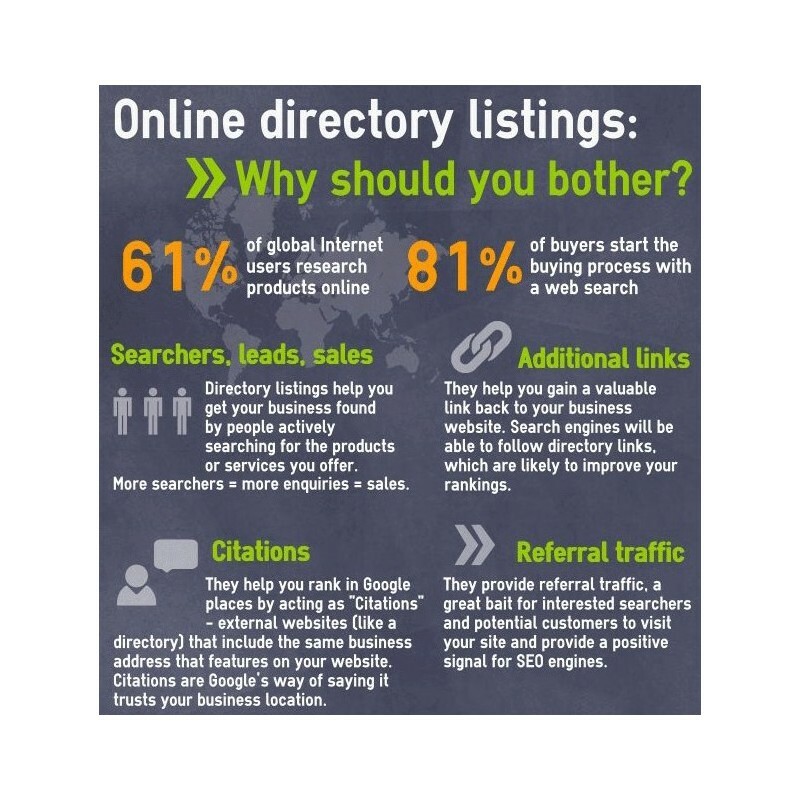 We don't own the web directories, no directory networks used, depending on your website niche we select the best fit directories. 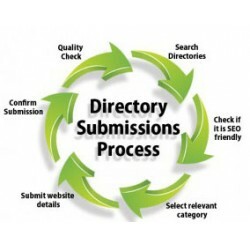 All web directories where we submit your website are established web directories, indexed by search engines and human edited (very important! because the quality of a website is given by the content in it). 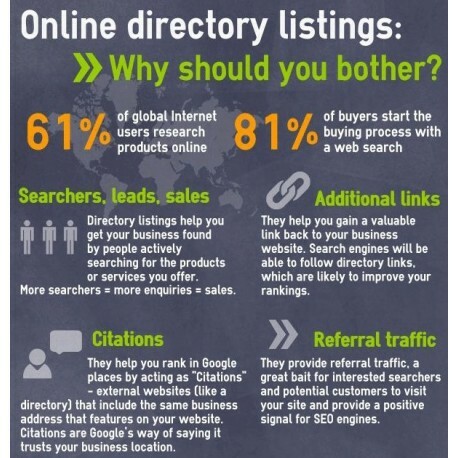 All directories have PageRank (PR) 4+ , DA (domain authority) 20+ , PA (page authority) 20+. 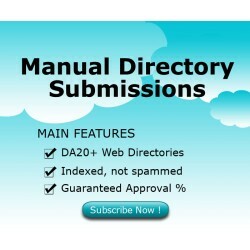 All directories have minimum 500 indexed pages, are human moderated, with no spam websites approved. All directories have different owners which equals : different class C IP’s, different registrars, etc. NO Directory Networks! Submission speed is slow to be as natural looking as possible. Excellent category selection. Manual selection of category guarantees the optimal placement of your link, in the most relevant category, having only same topic links in proximity. You can use internal pages (deep url’s). Target multiple search terms by using different titles and descriptions. We will distribute submission evenly between all titles/descriptions if necessary. Full report with the exact location of all approved submissions.. Tracking and reports are designed to make you 100% comfortable that your order is done perfectly. Every approved listing will be reinforced with additional backlinks (Tier 2 backlinks), to make it stronger and pass more power to your website. We build (slowly, over time), on average, around 50 backlinks for each approved listing. DA20+ directories, no spam, good listings. even link details page gets indexed, very nice quality! relevant categories, rotating anchors, good quality directories.